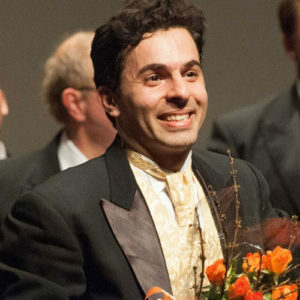 Farkhad Khudyev makes his debut as a Guest Conductor with the Monterey Symphony Orchestra. Farkhad Khudyev makes his debut as a Guest Conductor with the Monterey Symphony Orchestra. The highlight of the program is the World Premier of his own composition, The Sounds of Eternity, commissioned by the Monterey Symphony to celebrate the 70th Anniversary of the Monterey Symphony Orchestra. The program also features distinguished clarinet soloist, Emil Khudyev (http://emilkhudyev.com). Farkhad Khudyev makes his debut as a Guest Conductor with the Taipei Chinese Orchestra in Taipei, Taiwan.